TVS was the first company to acknowledge the fact that majority of the customer base of gearless scooters consists of female riders.In order to cap this enormous customer base, TVS introduced a range of gearless vehicles that were designed and manufactured from scratch, keeping in mind the needs, demands and requirements of female riders from their scooters. With a telescopic front suspension TVS Scooty is a scooterette to ride on. The company aptly named this female oriented scooter, Scooty, which is a self-explanatory moniker that bluntly expresses its identity of being a lady scooter. 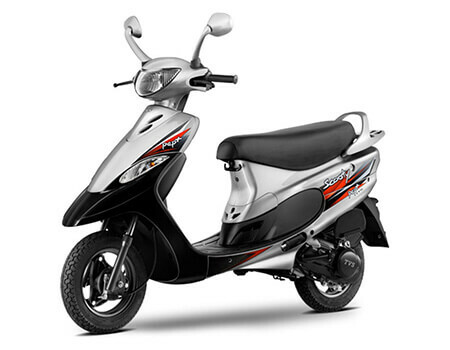 Currently, the company offers three products under is Scooty range: Pep Plus, Streak, and Zest. There are 3 versions of this motorcycle with 2 engine, 1 transmission, 1 fuel option and different ex-showroom price.